Blue, one of Britain’s most successful pop groups, head to the Roundhouse as part of their UK tour in spring 2015. 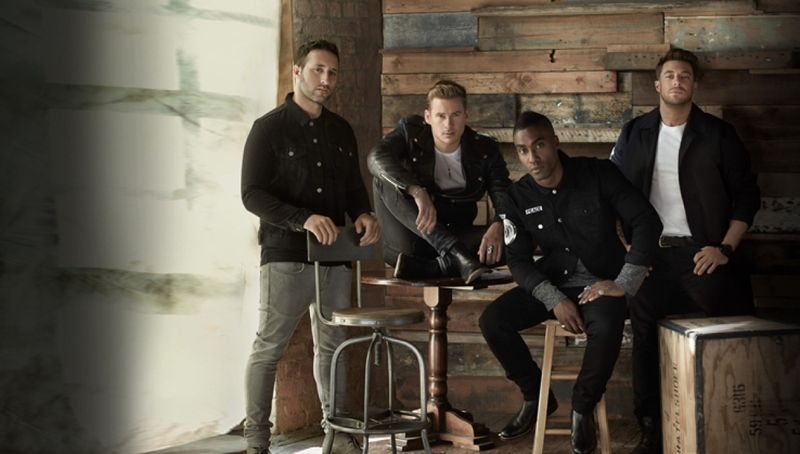 Lee Ryan, Antony Costa, Duncan James and Simon Webbe catapulted to fame in 2001 with their Top 5 single All Rise. The affable quartet quickly ascended to the top of the charts with three number one albums, scored highly-respectable collaborations with Elton John and Stevie Wonder, and even represented the UK in 2011 at the Eurovision Song Contest. Despite each member diving into solo projects in TV and stage, music has never been far from their hearts. In the last year alone, Blue has played over 170 shows and events – and the next 12 months is set to be even bigger. 2015 will see Blue hitting the screens as they launch their new ITV show. The reality series will follow the trials and tribulations of Blue as they attempt to run a bar in Ibiza. Blue’s last album, Roulette, saw them collaborate with Grammy-winning producer RedOne, who has crafted global hits for Lady Gaga and Nicki Minaj. The new album is set to reignite the band’s signature style of soaring emotional ballads and energetic pop productions. The band celebrates the end of a successful 2014, signing with Sony Music. Back in the studio, the loveable foursome will be releasing the much anticipated album in March 2015, and are hoping to make waves in the chart. The band is well and truly back where they belong; Back in the spotlight and ready to embark on their newest musical chapter. All Rise for one of Britain’s most talked-about boy bands.